CLASS is a contracted provider with managed care organizations and insurance companies offering an autism benefit. Our Intake Department is set up to assist potential clients with benefit eligibility checks and handle all insurance related questions and logistics from start to finish. CLASS is also very experienced in handling self-funded plans as well as insurance funding for military beneficiaries. CLASS firmly believes in providing the earliest possible evidence-based treatment(s) for individuals diagnosed with ASD. CLASS prides itself on offering the most individualized, developmentally appropriate programming. The cornerstone of all programs we provide include parent and caregiver participation and training in order for results to be consistent and long-lasting. CLASS contracts with local Regional Centers to provide custom, comprehensive programs to young children beginning at the age of 18 months. Most of our early intervention programs take place in the home or at one of our centers or clinics. We are also able to provide services in a day care setting or within the community if and when appropriate for this age group. The Social Butterflies program utilizes the latest evidence-based curriculum derived from the work of many known experts in the field of ASD specializing in social relationships. Our customized curriculum adheres to a weekly progression that builds on a specific foundation acquired the week prior. In all phases of our Social Butterflies program, we utilize data-based instruction and programming that supports all aspects of our decision making regarding appropriate next steps for each individual enrolled in our program. Our instruction targets the following areas: Compromising, Communication, Initiation, Imagination, Language, Negotiation, Problem Solving, and Perspective Taking. In addition, our social skills program facilitates interaction and socialization of individuals in both a natural and didactic setting. Opportunities are provided to develop skills that are not emerging from natural, every-day settings. Additionally, we provide assistance, whenever possible, through peer-modeling while guiding individuals though developmentally appropriate stages of play and/or social interactions that parallel that of natural development. All individuals enrolled in CLASS programs are provided a comprehensive assessment. After careful analysis and multiple observations, the clinical team subsequently develops a treatment plan to support the individual in all deficient domains. Traditionally, CLASS will receive a referral from a specific funding source and a formal assessment will be conducted at the time to identify the individual’s strengths and deficits. If you are feeling stressed about juggling work, marriage and family, CLASS is here to help! Our team of experienced, licensed mental health professionals can help guide you through the challenges that are impacting you now, and those that lie ahead. Some of these challenges can include how to support and generalize skills your child is learning in their ABA program, managing the ongoing needs of siblings of children with Autism, as well as prioritizing your personal needs. We offer individual, couples, and child counseling services throughout the Bay Area. Many insurance companies cover mental health services. Please contact us and we will help navigate you through the eligibility process. CLASS eagerly collaborates with school districts and other experts such as speech pathologists and occupational therapists to ensure that school-aged individuals receive the most comprehensive, latest research-driven programming both in their homes as well as their schools. Most ABA services take place after school. By collaborating and disseminating our data with school-day providers, we can ensure we are doing everything possible to provide the individual with continuity of services across all environments which has shown to produce the best outcomes. The CLASS center/clinic based sites offer a unique opportunity for individuals to excel in a highly individualized learning environment designed specifically to meet the unique needs of each individual. Our warm and inviting centers provide a safe and nurturing place for clients to succeed both academically, socially and behaviorally. 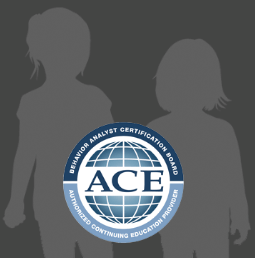 All sessions provide programs targeting skills across domains that include: Expressive and Receptive Language, Imitation, Visual Performance, Socialization and Play, Academic and School Readiness, Functional-Adaptive Daily Living Skills, Motor Skills, Executive Functioning, Cognition and Behavior Reduction. Our focus is on a positive behavior approach targeting an increase in pro-social behaviors as well as building new skills that reduce behavior patterns. A main focus is for generalization of skills across environments. Depending on the funding source, CLASS staff can participate in formal elementary or secondary education meetings in order to provide input for their clients’ Individual Education Plan (IEP). An IEP is a plan or program developed to ensure that a child who has a disability receives specialized instruction or services. IEP meetings can include the family members and key members of his/her education community. Services are discussed and offered that are considered to be fair and appropriate for the individual in his/her educational setting. It is at these meetings that specialists, such as CLASS Clinical Directors, are brought in to assist in recommendations regarding school placement and/or specific programming recommendations. If the family and the school district agree to services from CLASS then these services can include, but are not limited to providing a 1:1 “shadow” aide within the classroom setting to assist the individual in achieving educational and behavioral success. Assessments, aide training and/or oversight, consultation by a BCBA/BCBA-D or licensed clinician, curriculum adaptation or modification, as well as appropriate social facilitation are services that CLASS frequently provides. Generalization is an important component of any ABA program CLASS provides. As such, we want to ensure that the skills taught in home, school or center/clinic are quickly and effectively generalized to other functional and relevant settings. These settings can consist of local parks, stores and the home of a neighbor or friend to name only a few. At the point that we enter a community setting, independence is encouraged at all times and reinforced. In addition, safety, functional-living and opportunities for appropriate social opportunities are reinforced and memorialized through consistent data collection.